Today we focus on Europe’s top football clubs – Champions League – UEFA Europa League – and their use of social media to increase fan revenues. Recently, UEFA published new Club Licensing and Financial Fair Play Regulations (see Saturday), and not a minute too soon, considering that Barcelona reported financial difficulties of such gravity this summer that several of its players had outstanding wages (see Wednesday). But first, please enter your email address to receive live blog updates in your mailbox… You’ll be glad you did. 1. Does social media use affect the club’s image? Content can be delivered in several languages. Moreover, it can be shared using online social networks (OSNs, e.g., MySpace and Del.icio.us) and the club may also have a subscription-based TV channel. 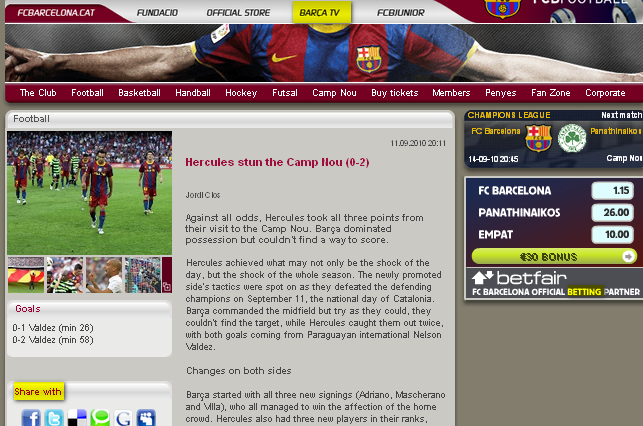 But how a webpage or blog is used to generate revenue can affect a club’s image. For instance, FC Barcelona has a partnership deal with a gambling/betting company, inviting its members to bet (see below). Is this the same club that decided to be a good ‘football citizen’ by sponsoring Unicef and featuring its logo on the players’ t-shirts? Do these two value sets – gambling and helping needy children – not collide? Trend: It must be questioned whether the revenue generated through such ads warrants the potential damage to the club’s image. 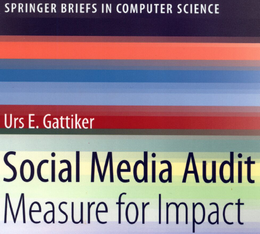 Social media requires that the club brand be carefully managed across all platforms (e.g., webpage, Facebook, Xing) to avoid possible conflicts that could cause damage to it. 2. Do mobile applications generate substantial revenue? These days many talk about creating new revenue streams using iPhone applications. For instance, Real Madrid launched MyMadrid in 2007. According to Pedro Duarte, manager of Real Madrid’s mobile marketing, it has 115,000 downloads. One subscription-based version launched in July 2009 costs €3 a week and allows up to 12 downloads every week, such as video clips or player profiles. This week Real Madrid launched a new version that allows clients to use their iApp to shop at the Galácticos’ fan-shop. By the way, only 30 percent who pay and download an iPhone app or application actually use it the day after purchase. Analyzing over 30 million downloads from Apple’s App Store reveals that only 5 percent continue to actively use the application 20 days after downloading. Data for free Apps is worse. Incidentally, the FC Basel just launched its own iPhone app. But will fans continue using the app if the club fails to qualify for the Champions League’s second round? Trend: Revenues might increase slowly, but early-adopting soccer clubs will benefit more compared to later adopters. 3. Do Facebook followers yield higher revenues? It is noteworthy that both Turkish clubs – Galatasaray and Fenerbahce – enjoy a disproportionately large Facebook following, considering their estimated fan numbers in Europe. 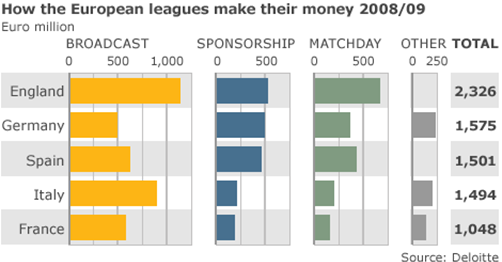 The Football Top 20 2010 has other interesting charts outlining how clubs are trying to increase revenue from fans. For many clubs, three to 10 times as many fans live outside the country, making social media a welcome tool for better engagement. 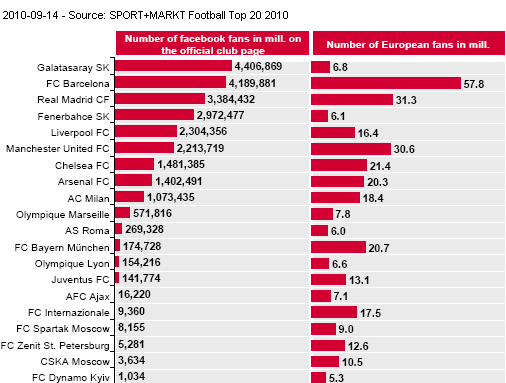 Fact: Facebook pages can help a football club engage with increasingly large groups of fans abroad. In conjunction with sweepstakes offering fans attendance at special events or tickets, it may help generate higher revenue for the club. The first-adopter advantage is also applicable here. But how much revenue Facebook followers or subscribers to the blog can generate is still hard to assess using bottom-line metrics. However, thanks to measures such as linking Facebook or blog events to ticket sales, increased match-day receipts can in part be traced back to social media. 4. How will clubs align sponsor, TV stations and players’ interests using social media? 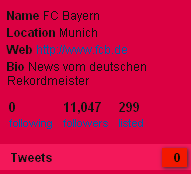 As Bayern Munich’s Twitter account shows (see right), some clubs are unsure what to do with micro-blogging. This is in stark contrast to their players. 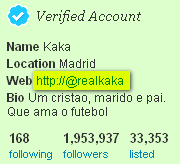 Kaka is probably one of the most successful Twitter users of all footballers (just about 2 million followers). Unfortunately, the link does not point to a webpage, but an error – a lost opportunity for greater engagement. Other examples are easy to find on Facebook, Twitter, MySpace or other OSNs. Fact: Like companies, football clubs need a social media policy that works and applies to ‘official bloggers’ as well as team members (e.g., when is tweeting appropriate – during halftime? Also, see why players should disable Facebook Geo-tagging- see Saturday). Failing to communicate this policy or engage with players can result in conflicting messages. The potential damage to the club’s, as well as the player’s, brand should not be underestimated. Moreover, how the player’s online image fits in with a sponsor’s brand is becoming increasingly important and will also affect revenue for both players and the club. How much social media channels will help clubs increase revenue is still debated by some. Some, like FC Everton, offer subscription plans to receive texts or information about matches. Others, like Real Madrid, have decided that such a service is of limited benefit to fans and the club’s coffers because results data can easily be obtained for free from other news sites. 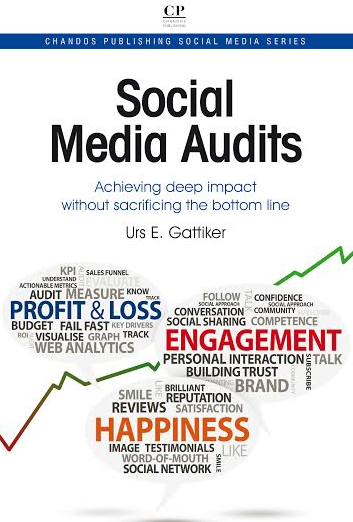 Like sports, social media requires dipping one’s toes to test the water. In turn, this enables clubs to better engage with fans in far away places and support their cultured image. This is a prerequisite for commercializing their fan base to achieve higher revenues. Previous post: ComMetrics weekly review: What do BP, big banks and Putin share?